Saves on maintenance – Proven metallo-organic anti-wear additive system resists wear by forming a protective layer on contact surfaces under all service conditions. Prolongs periods between overhauls – Metallic detergent and ashless dispersant additive system resists the formation of high temperature deposits in diesel engines. 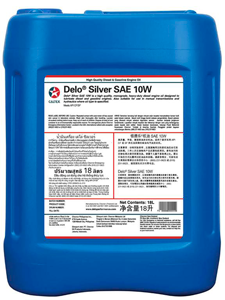 Good oxidation stability resists oil degradation and protects against oil thickening, and oil line and filter plugging. Preserves power and performance – Metallic detergent and ashless dispersant additive system preserves power and performance by providing good control of high-temperature piston and ring deposits.